New year, new adventures, new goals, new organization! Yes, it's 2017, and like so many others, I have my sights set on new and exciting things for the year, and I've decided that one of those new things I want to try is a Bullet Journal. Fortunately, I had a cute spiral-bound journal with my initial on it and a matching pen- Christmas gifts from my visiting teacher- and they just begged to become a part of my daily life, so I drafted them into service in my bullet journaling adventure. Basically, your bullet journal becomes your brain- your planner, your calendar, your random-note-taking station, your to-do lists, etc. Because it is all of these things, it also serves as an actual journal of your life. The first part of the journal is the index- and this is the part where I think the magic really comes in, because it allows you to really write anything you want in your bullet journal. 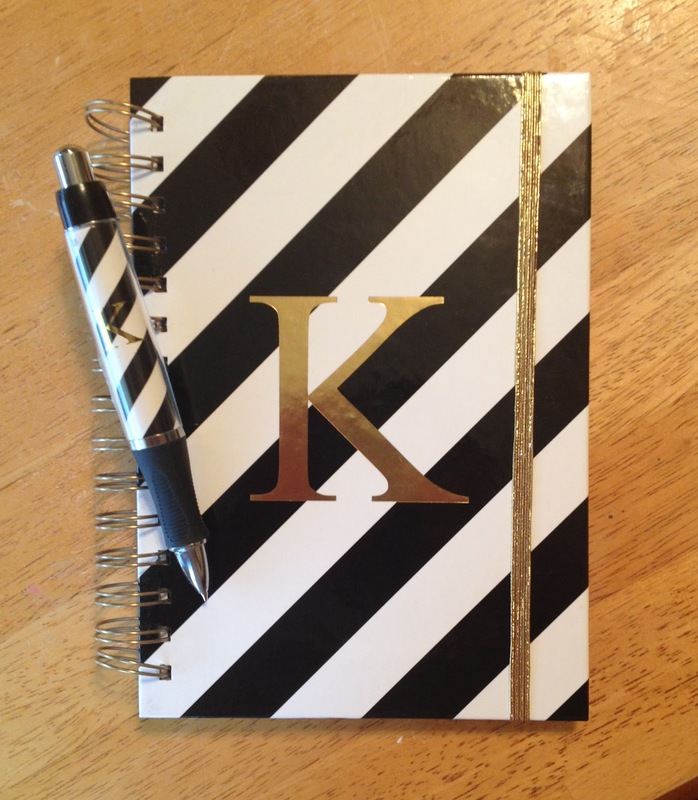 One page might be a daily to-do list, another page might be an idea for your next book, another page might be gift ideas for your husband's birthday- just put it all in there! Then you simply go back to your index and add in the title of whatever it is, note the page number, and then you will always be able to find it. There are some other core parts to bullet journals as well to help you plan your life, but what I love about it is that it is evolving, imperfect, and flexible. Because aren't we all evolving, imperfect, and flexible? I love that I can keep all my crazy ideas in one spot and know they're all right there. 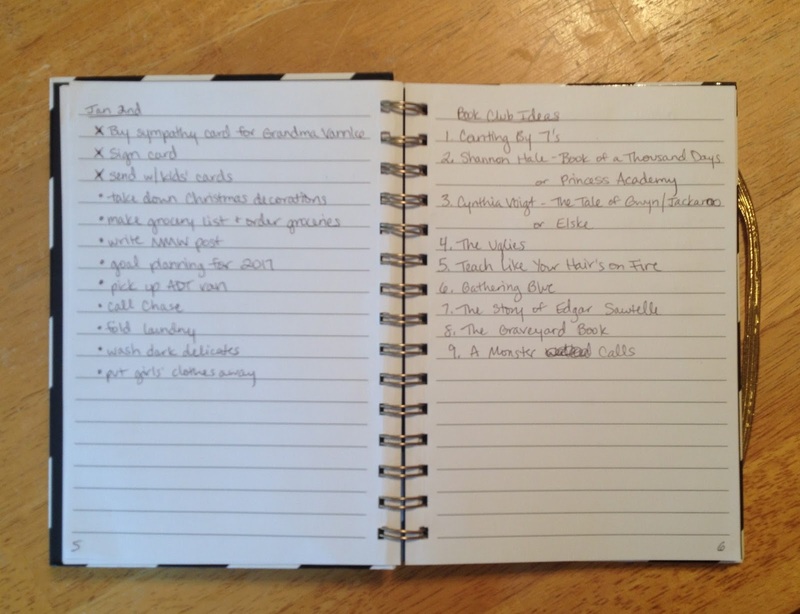 I set up my bullet journal last night, and so far I have all my basics (see video), plus today's to-do list (#6 Write MMW post), a list of book titles I'd like to propose in a meeting of a brand-new book club starting this month, and a page for me to plan my daughter's birthday coming up next week (gift ideas, what she wants for dinner that day, her preferred cake flavor, etc.). I'm just starting on my bullet journaling adventure, but I'm excited to see what happens. I just love the idea of recording life in ink on a page, and I love that I can do that and get more organized at the same time. How about you? Have you ever tried bullet journaling or do you think you might? 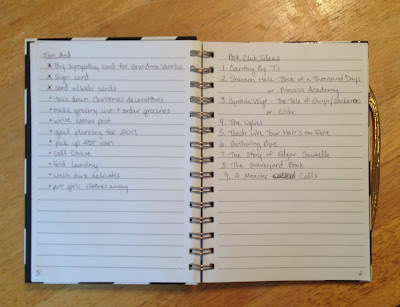 I used to keep little notebooks that I could carry in my purse with this same idea - to-do lists, ideas/plans, quotes. I loved them at the time, but switched to my phone after I had kids. I can make a note or list in Evernote while I feed my baby much easier than I can write in a physical journal. I still find value in the physical pen and paper journal, but most days it is "get it done" over "do it X way" for me. This is an interesting idea. I might have to try it.